Amazing estate by award-winning Bobby McAlpine and Benecki Homes. 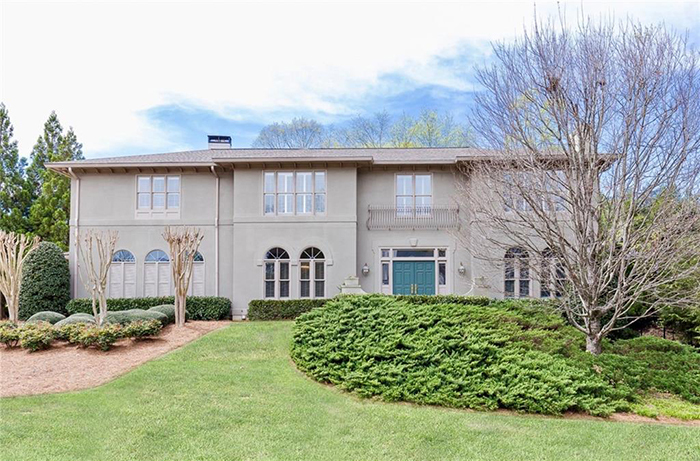 Custom designed to seamlessly embrace the environment on a private hilltop setting with architectural details that make this home a true work of art. Special, authentic New Orleans-style home on a gorgeous private lot designed and built by Earl McMillen, this home is full of unique features, such as reclaimed brick flooring from the old Grady Hotel and fabulous wood doors built on site. It has an indoor pool with a wood paneled ceiling that lowers to create a perfect space for entertaining. 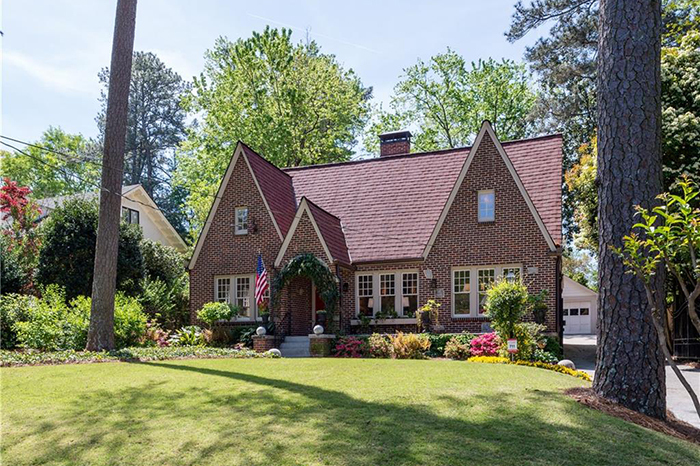 This 1929 Mediterranean beauty is a true original in the heart of Druid Hills. 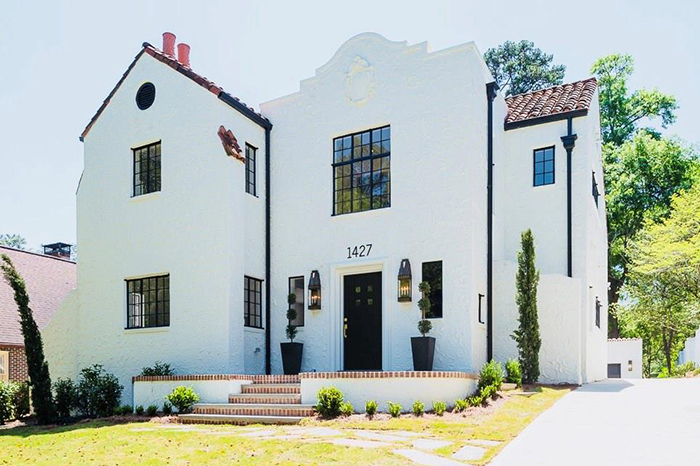 The complete renovation of this historic home has made it an entertainer's dream with black iron windows and doors and a modern open feel. 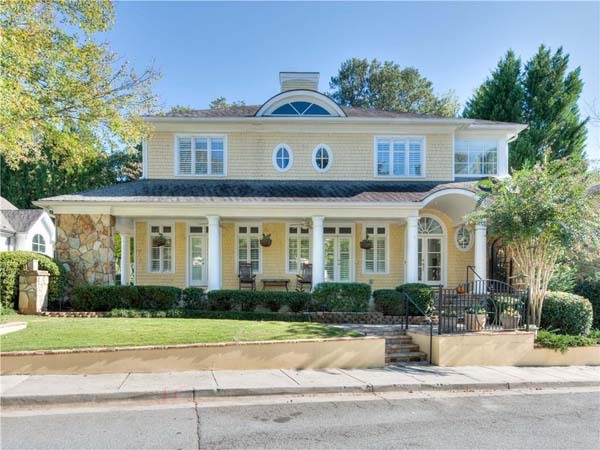 With beautiful curb appeal, this four bedroom/three bathroom classic Morningside home is impeccable. It is full of details including Pecky Cypress ceilings and beams, designer lighting, marble and more. 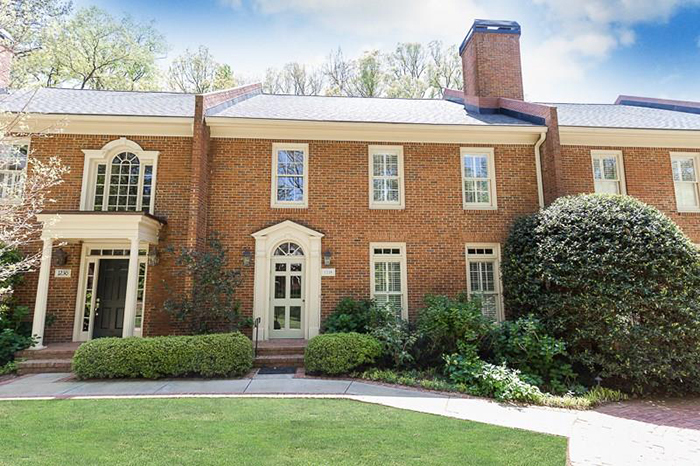 Meticulously maintained and situated on a cul-de-sac minutes from Chastain Park, this home has incredible natural light from floor to ceiling windows. The kitchen has top of the line appliances; Viking Professional stainless fridge, dishwasher, double oven and microwave plus Wolf gas cooktop. 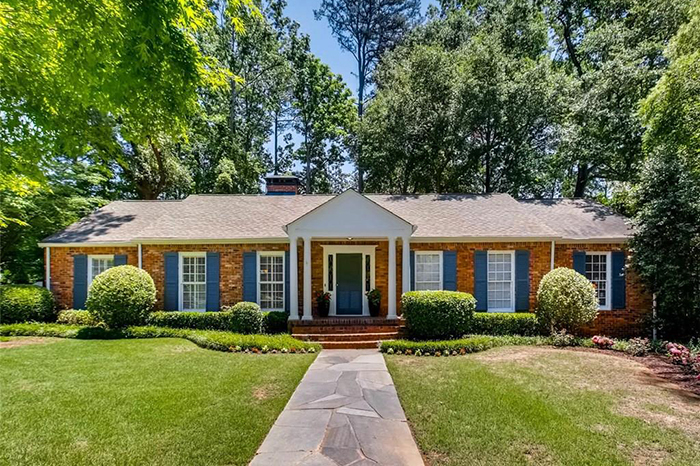 This beautiful home on a quiet cul de sac has fresh paint throughout, newly refinished hardwood floors, new kitchen counters and appliances. 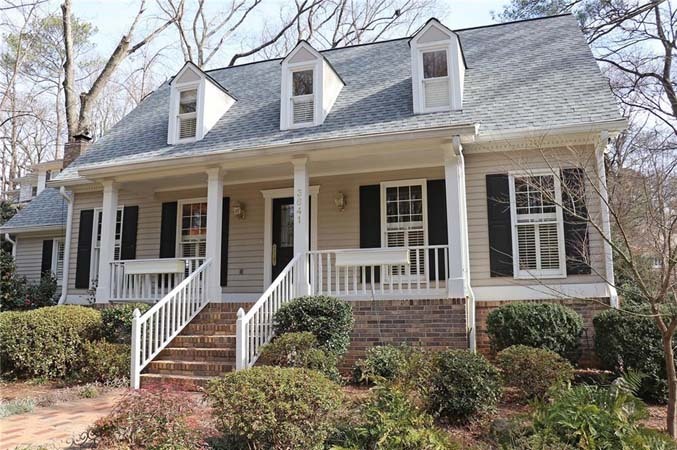 It has four bedrooms up with three full baths and a large master with his and hers closets. 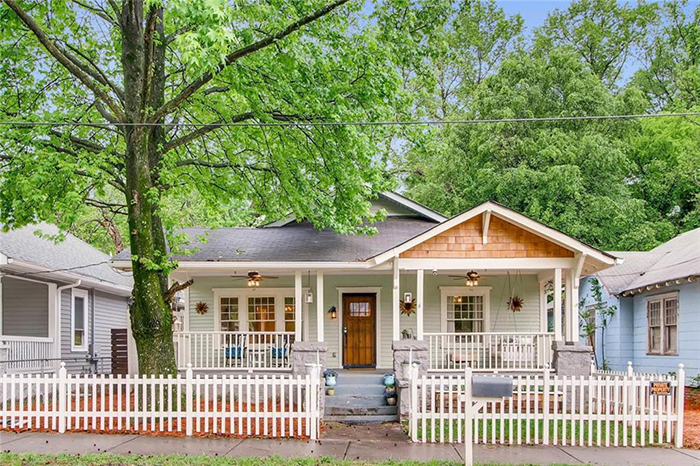 Close to everything there is to love about Intown Atlanta, this bungalow's backyard is Piedmont Park, the Beltline and more. 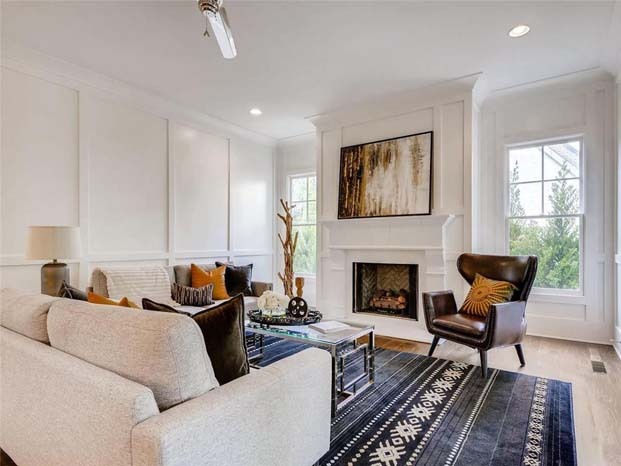 This four-bedroom, three-bathroom home boasts luxurious Craftsman design, lots of living area and plenty of storage. 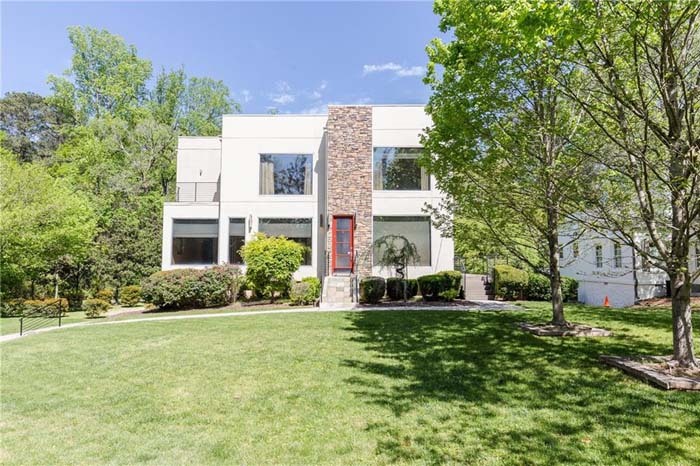 This sleek, contemporary-style home in sought-after Haynes Manor has stunning, large windows in every room, elevator to all levels (including garage) and a kitchen with stainless appliances, walk-in pantry, breakfast room and wet bar. The fireside living room and guest suite or office is on the main floor. 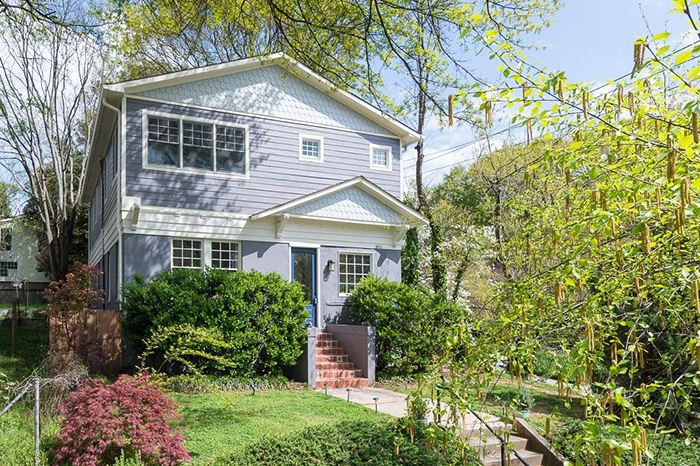 Mere steps from the Beltline and Ponce City Market, this home blends 1920s charm with modern convenience. The main floor offers beautiful heart-pine floors and sunlight-filled living and dining rooms plus two bedrooms and a full bath. 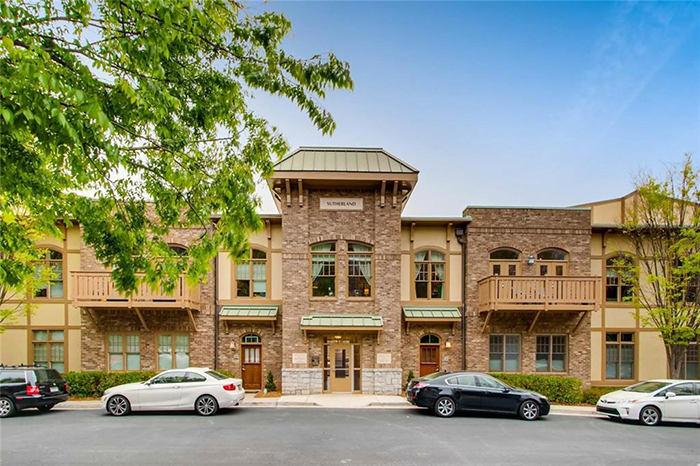 This exquisite Ashton Woods end unit townhome is an elegant four-story elevator-ready home featuring a light-filled, open floor plan, hardwoods and luxury upgrades throughout with high end finishes. The chef’s kitchen has a huge island and floor to ceiling cabinetry and overlooks the family room. This move-in ready home has fantastic style, flow and all the right extra spaces including a formal living/dining room and a large family room with French doors leading to expansive stone patio. The spacious keeping room addition off kitchen serves as the perfect playroom. 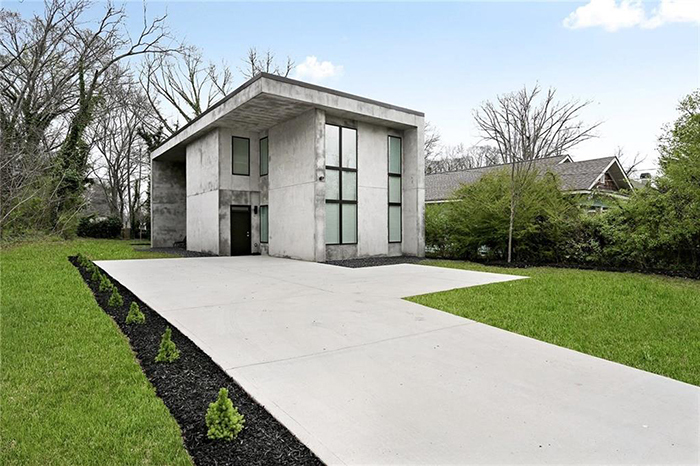 Luxury modern concrete home built and designed by artist, Joseph Guay is on one of the deepest lots in Kirkwood. Zoned for the Charles Drew Charter School, it is one block from the Kirkwood Village and YMCA. 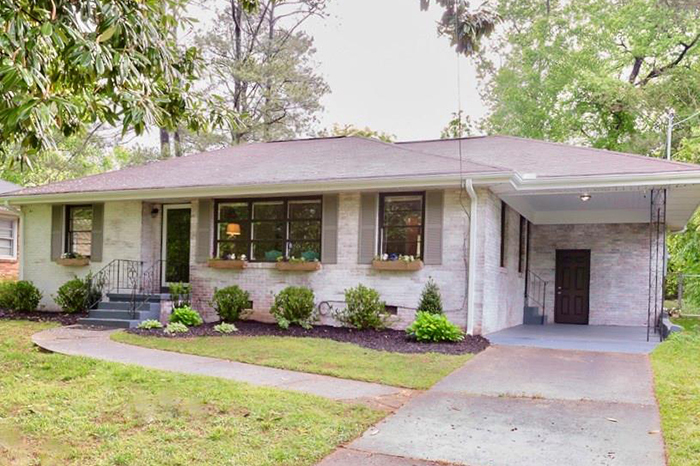 This completely renovated mid-century features multiple living areas. The main floor has an entry foyer that opens to the living room with crown molding and recessed lighting. The all-new kitchen has soft-close cabinets, granite countertops and glass tile backsplash. This is a fabulous expansive townhome is in a beautifully maintained enclave of only five homes. 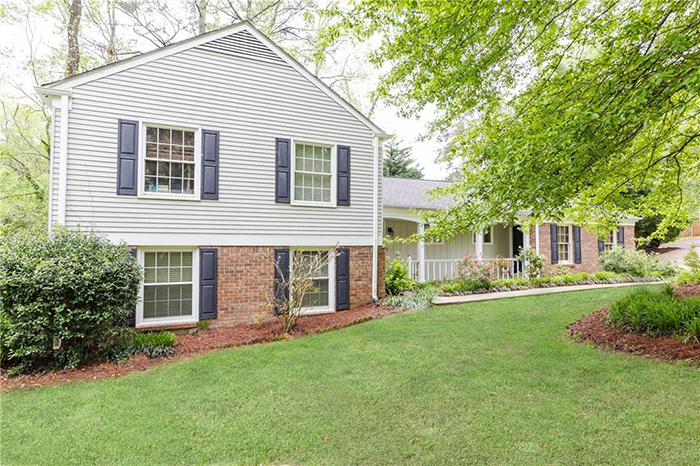 It has been totally renovated and redone including a new master bath with quartz vanity, new granite kitchen counters, tile backsplash and refinished hard wood floors. The lot is just under 3/4 of an acre, perfect for a dream home or renovate an adorable bungalow. It is less than a mile from Interstate-75 and is in the award-winning Morris Brandon School district. 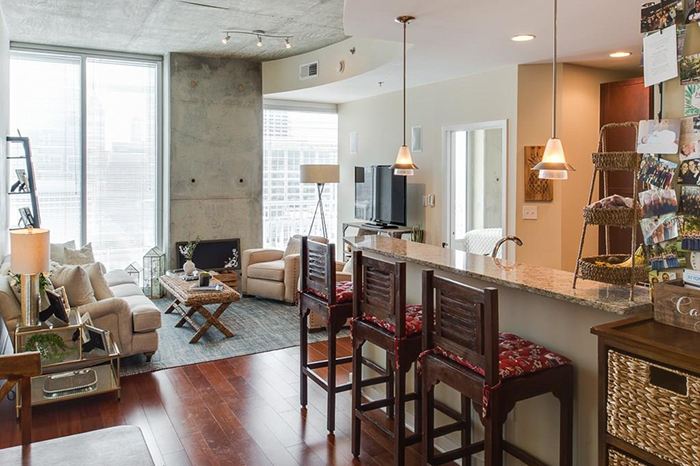 This condo on the 18th floor has two master suites, each with its own balcony, two closets and full bath. The kitchen has stainless steel appliances, granite countertops and a breakfast bar. 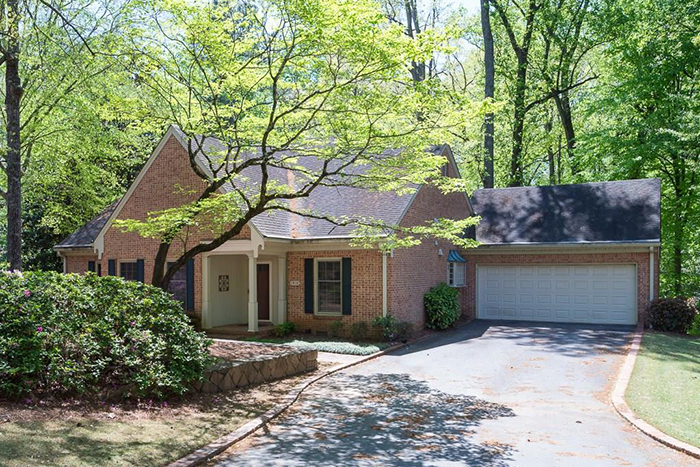 Thus absolutely charming and updated home in the Sope Creek district features an open floor plan with a fabulous kitchen open to the dining room/keeping room. The fireside family room is on the lower level plus a true in-law suite with bedroom, sitting room and full bath. The solid home in the sought-after Harrogate community has a desirable floor plan with the master-on-main plus two secondary bedrooms and bathroom on the first floor. The finished basement has an additional bedroom and bathroom plus a large bonus room. This great opportunity in Lake Claire is a light-filled, two bedroom condo with fabulous details including hardwoods throughout. The chef's kitchen has honed granite counters and stainless appliances and opens to the dining and living room, perfect for entertaining. 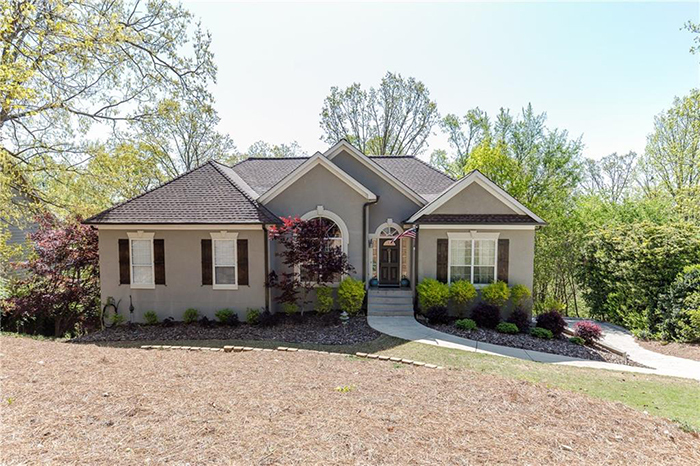 This gorgeous updated home on .84 acres has three bedrooms and two-and-a-half baths including an oversized master suite. Features include a great room with fireplace and ship lap accent walls, separate dining room, kitchen with white cabinets, granite countertops and a breakfast area. 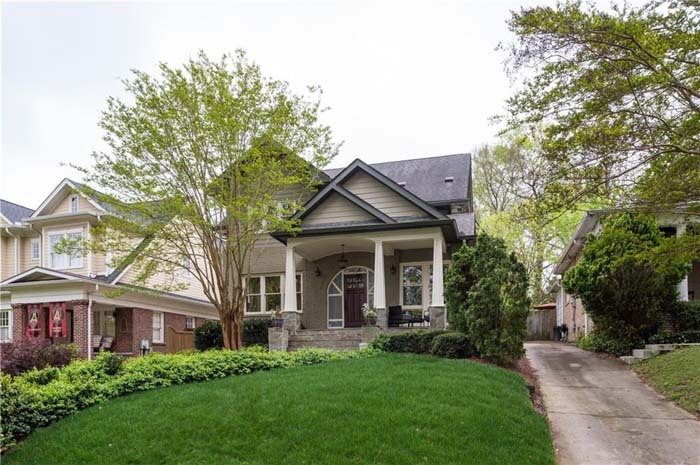 This professional renovation in the hot West End is steps away from the Westside Beltline Trail. 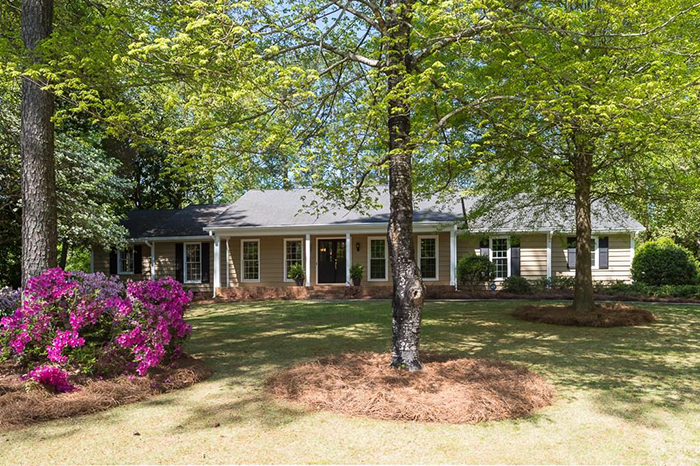 It has an inviting porch with new hardwood swing settee over looking the Dean Rusk Park. 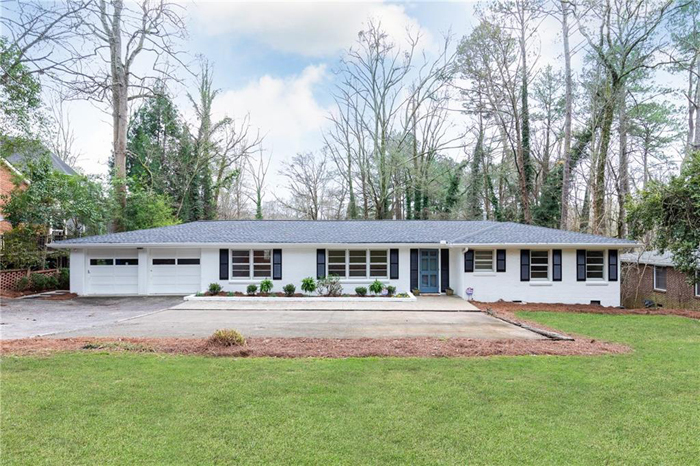 This fantastic all brick ranch in the heart of East Atlanta is move-in ready with a new kitchen, new appliances, new bath, brand new upgraded 200 AMP electrical service, new attic insulation and professionally landscaped front yard. 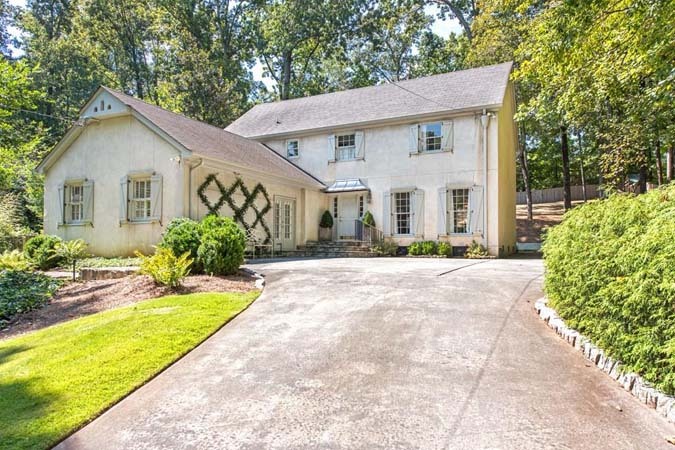 This charming country french home is loaded with upgrades, including new doors, windows and roof. The master on main has his/her closets and a renovated bath. 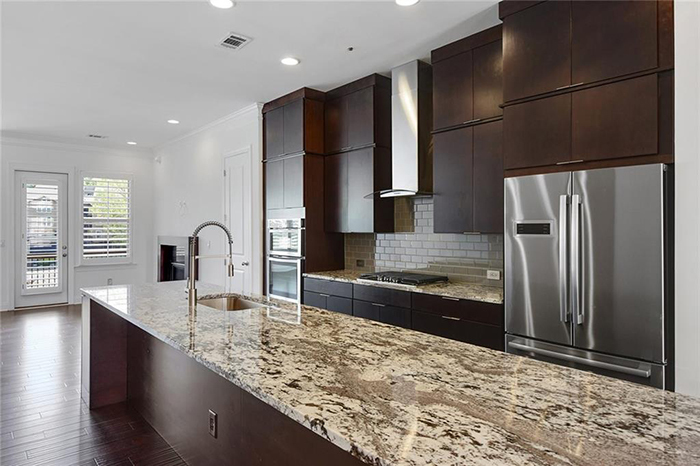 This beautifully renovated home has a dream kitchen with granite and new stainless appliances opens to two-story great room — perfect for entertaining. The oversized master bedroom with a fully renovated luxury bathroom designed by Truth & Co. 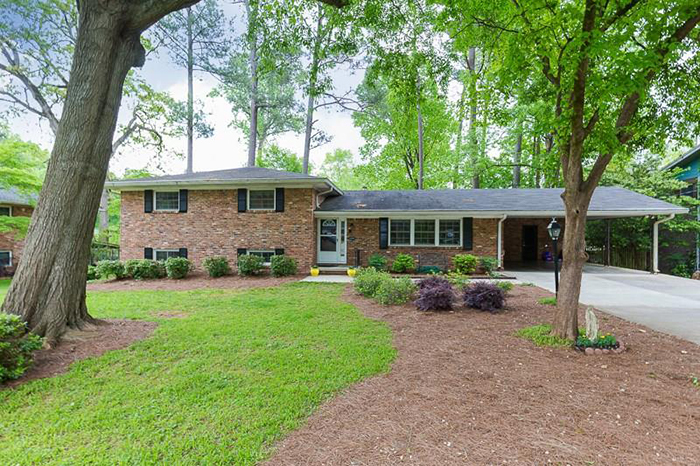 This well-maintained Chatham built ranch has a pool in back surrounded by a large deck area and fenced in yard on almost 3/4 acre lot. 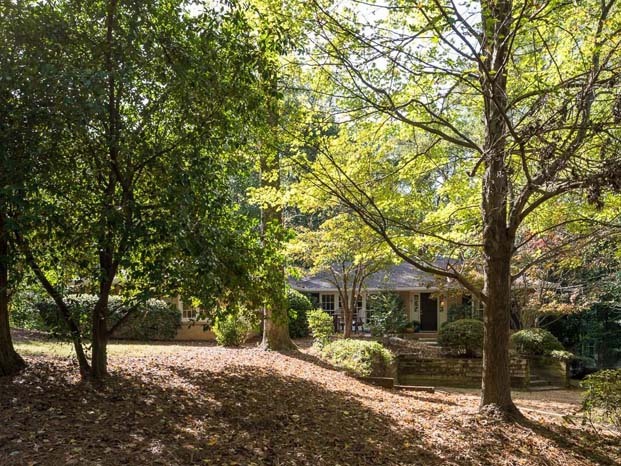 With four bedrooms and three full baths, it has hardwoods in most of the house.